Omniquad warns about DVLA Email Phishing Scam – Identity Theft Warning. 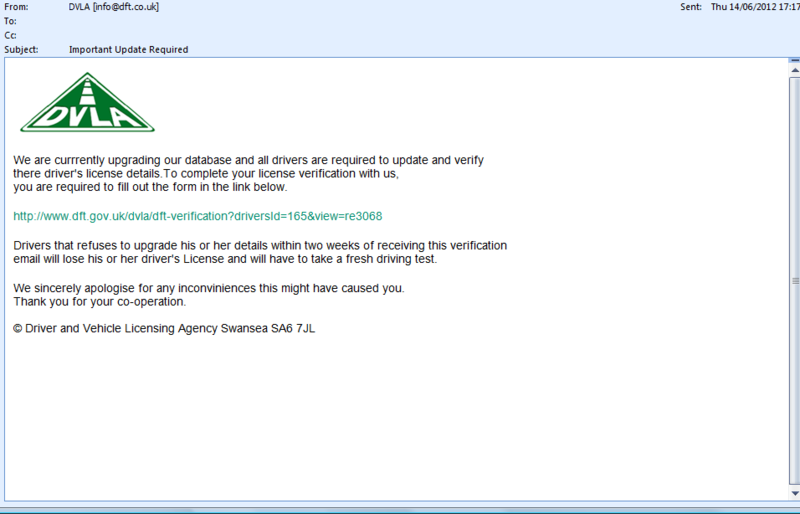 Omniquad is issuing a warning about emails that appear to come from the DVLA. The scam email tells recipients that the DVLA is currently updating their database and all drivers are required to update and verify their driving license details within two weeks of receiving the email. 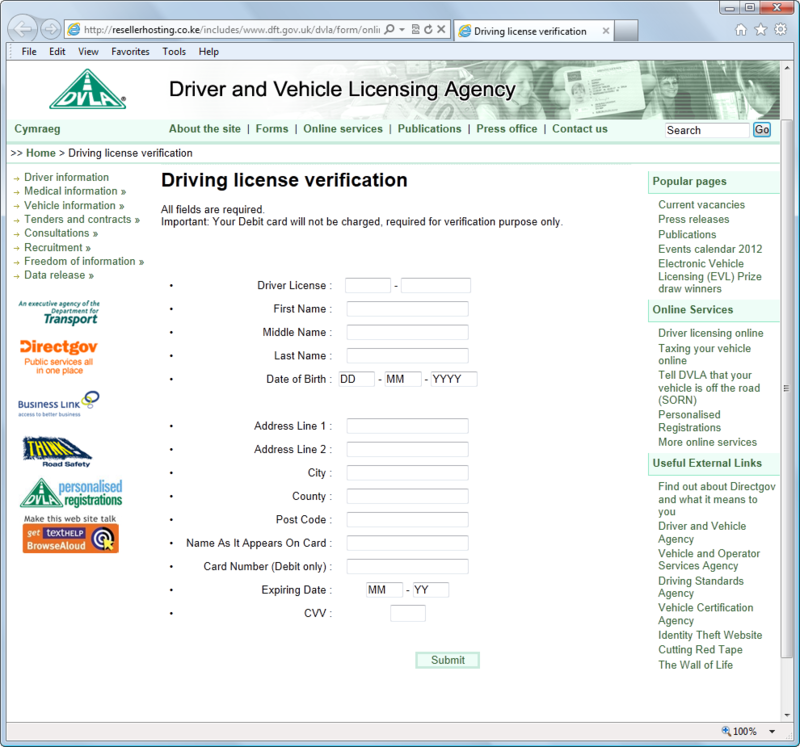 There is a clickable link that appears to lead to the DVLA website, but actually leads to a fraudulent website registered in Kenya. The scam has been traced back to the Philippines, redirecting via a Kenyan-registered domain which points to a US based server, in Texas. The clickable link redirects unsuspecting recipients to a copy of a DVLA website, where users are requested to give their personal details, driving license number, name, date of birth, address and credit card details including CVV. It looks authentic, unless you scrutinize the domains and the link. Do not complete this form, it is a scam. It is important that people are warned to not click on the link and complete the forms, as this is a very convincing identity theft attempt. Criminals commit identity theft by stealing your personal information. This type of theft can result in fraud that is affecting your personal and financial circumstances. You may for example have problems getting a loan, a mortgage, credit cards, while the situation is sorted out. Phishing typically happens when criminals send convincing looking but fraudulent emails. These emails are usually sent to thousands of individuals – in the hope that some will be tricked into supplying personal information. This may include user names, email addresses, passwords, bank account, and credit card details. Phishing attacks will typically encourage victims to enter details on a fake website – which often seems to come from a legitimate organisation, such as in this case, the DVLA. Omniquad has updated the filters of their Mailwall Remote service, so their customers should not receive this scam email.